Hyundai Motor’s fuel cell engine, which debuted in February on the 2015 Tucson, was named one of the 10 best engines sold in the North American market this year, officials said Thursday. It is the first time that the annual Ward’s 10 Best Engines have included a hydrogen-powered fuel cell engine. 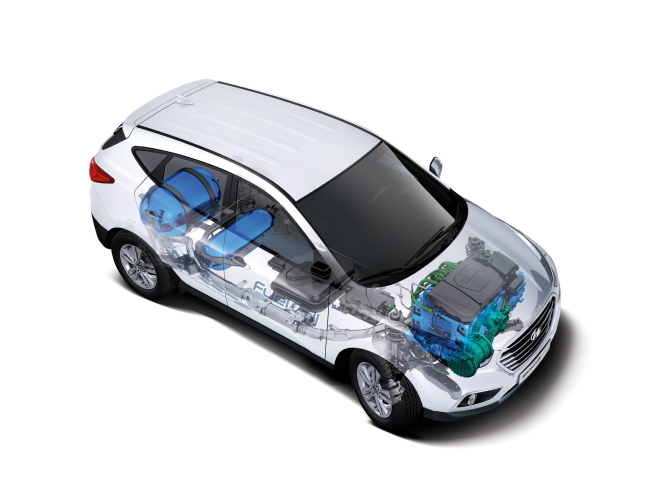 The Hyundai Tucson Fuel Cell, the world’s first mass-produced fuel cell-powered vehicle, has been sold in Southern California since June 10. Outside the U.S., the car is sold in about a dozen European countries, where the vehicle is known as the ix35.